The Fullback is the ideal vehicle for you and your work with a cargo bed up to 1.52M long and over 4T of total loading capacity and up to 3.1T of towing capacity and more than 1T of payload. The Fullback is a great workhorse equally at home on and off road with a comfort level and performance you will love. 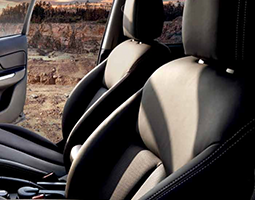 It delivers a high specification interior with a smooth engine and decent fuel efficiency. 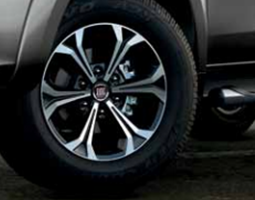 The turning circle of the Fullback is 12M which is the smallest of its rivals and in tight situations especially off-road that’s a real bonus. The Fullback LS gives you, electrically adjusted seats, heated front seats, privacy glass, dual climate zones, bi-xenon head lights and touchscreen command centre with satellite navigation and slightly softer suspension set up. You also get advanced traction and stability control, trailer stability assist, hill start assist, as well as hazard lights that operate automatically under heavy breaking and even a lane departure warning system. A range of accessories have been developed to let you add your own personality to the new Fullback which include rear hard top, full box, soft tonneau cover, chrome sport bar & hard tonneau cover to name a few. Vehicle shown is for illustration purposes only. The 4×4 traction is more efficient and easy to control, thanks to a unique 4WD selector that enables you to distribute the maximum torque to each wheel. 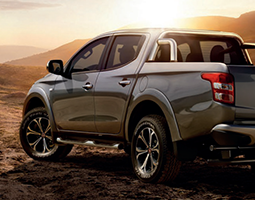 The new Fullback is amongst the first pick-ups in the world with an aluminium engine which is lightweight and powerful. The new Fullback also offers a choice of 6 speed manual or 5 speed automatic transmission. The Fullback is comfortable and welcoming with ergonomic seats, spacious interior, climate control and soundproofing with everything built to make driving the Fullback a pleasure. 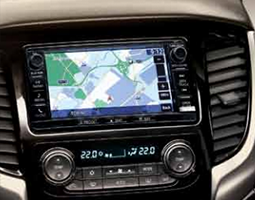 The Fiat Fullback is packed with technological devices like the touchscreen multi-functional radio with navigator, Bluetooth connection, rear view camera for easy parking to name a few.